It's an unexpected image of war the one we find in many Italian poets who took part to the conflict. No hurry, no violence but emotions recollected far from the front. We find this in Diego Valeri or in Camillo Sbarbaro (Santa Margherita Ligure 1888 - Savona 1967). At the war outbreak in 1915 Sbarbaro volunteered in the Red Cross and in 1917 he was enlisted in the Italian Army. We have traces of his experience at the front in the places of the Veneto region (see also the poem we have chosen). During the war years he wrote one of his most recalled book, Trucioli, that was published in Firenze in 1920. Sbarbaro is one of the most interesting poets of the Italian twentieth century but perhaps he is not included into any canon. He is probably better renowned and respected worldwide for his passion for lichens. Actually he became an expert in the knowledge of these special organisms and gave his contributions in terms of studies and collection to the international community and to important museums. He was also excellent translator from Greek and French (Flaubert, Huysmans, Green, Stendhal, Zola). Among the poems he dedicated to the war time we chose the following set in Romano di Ezzelino, not far from the city of Vicenza (we will come back to this city with a similar poem by Diego Valeri). In the same period, in a village next to Romano di Ezzelino, Borso del Grappa, there's a young American writer trying his first experiments in writing. 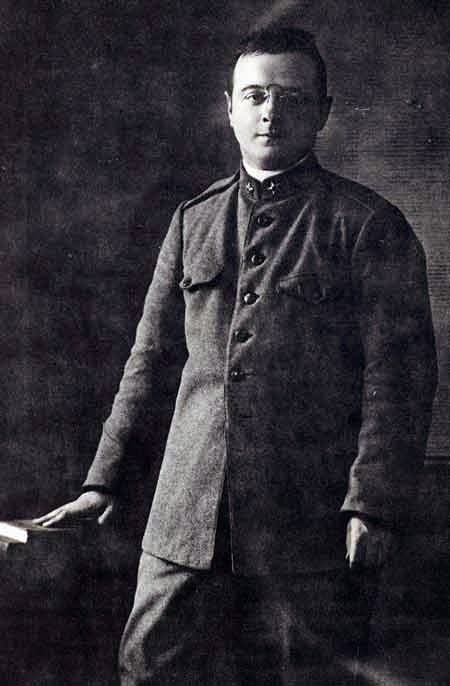 His name is John Dos Passos (One Man's Initiation and Three Soldiers can be listed in the novels of the Great War, even if they are not his masterpieces). The short poem is a picture taken in tranquillity, but at the lines 3 and 4 there's probably the secret of such poems: the surprise (almost astonishment) of being alive after all the atrocities of war. and ash of olive trees.